Custom Amish built Art Schumcker home. Entry way has 16x6 foyer with columns into living room with vaulted ceilings and floor to ceiling brick gas fireplace. . Three bedroom, three full bath ranch with over 1,700 SF main level living. Full finished basement, 3 car attached garage. 2 fireplaces, custom cherry wood kitchen cabinets, crown molding, corian counter tops, custom molded bowls in baths. Pella slim shades windows.Master bedroom trey ceilings,garden tub and walk-in shower. 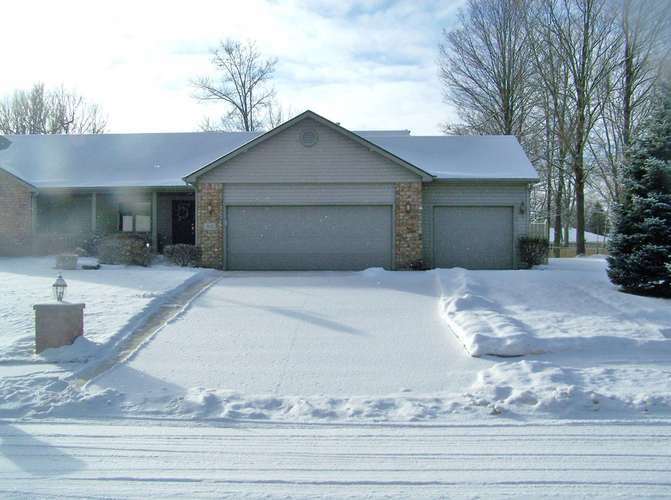 Finished basement has.....15 x 35 rec room with carpet, crown molding and gas fireplace. 3rd bedroom, craft room and full bath. Plenty of storage in utility room. Fenced in back yard. close to park and school. Directions:US 30 to SR 205, west to Marshall St., right to Jefferson St., right to Hawthorn St.